I'm sorry whoever those old singers were who sang, "It's the most wonderful time of the year" at Christmas lied! Fall is my absolute favorite and we are going to celebrate today! 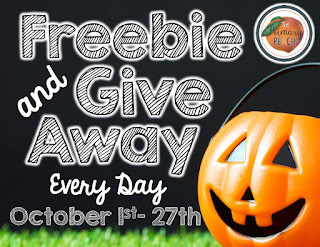 Have you enjoyed our Fall Favorites and Freebies series so far? I have loved it! 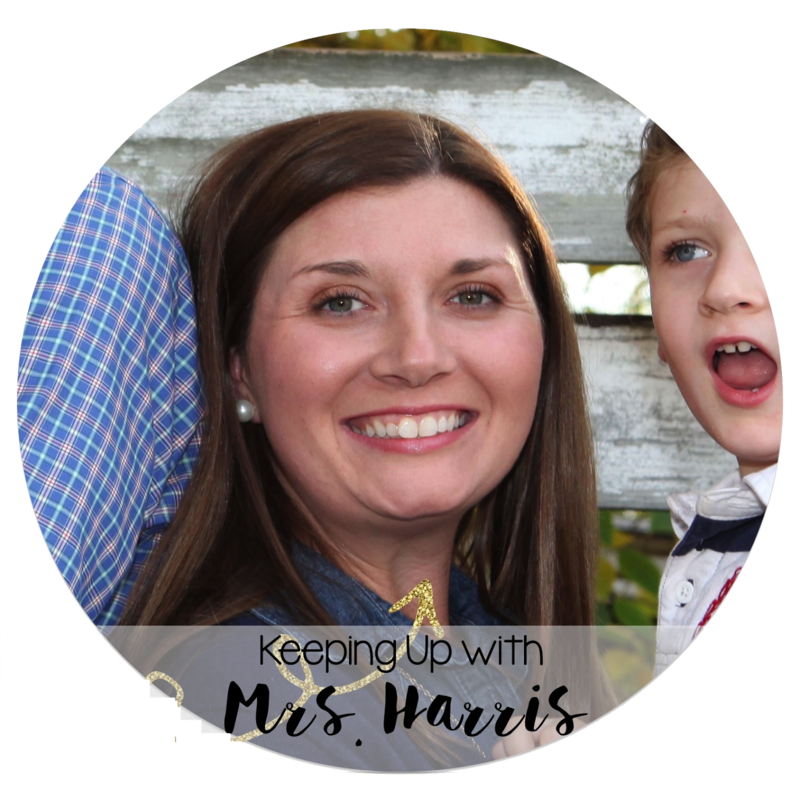 This is Meghan from Keeping Up with Mrs. Harris and I am excited to share a little bit of fall love with you! As all good blog posts should start, let's start with desserts! That's right! Fall means flavored coffee and lots of yummy desserts in my house. 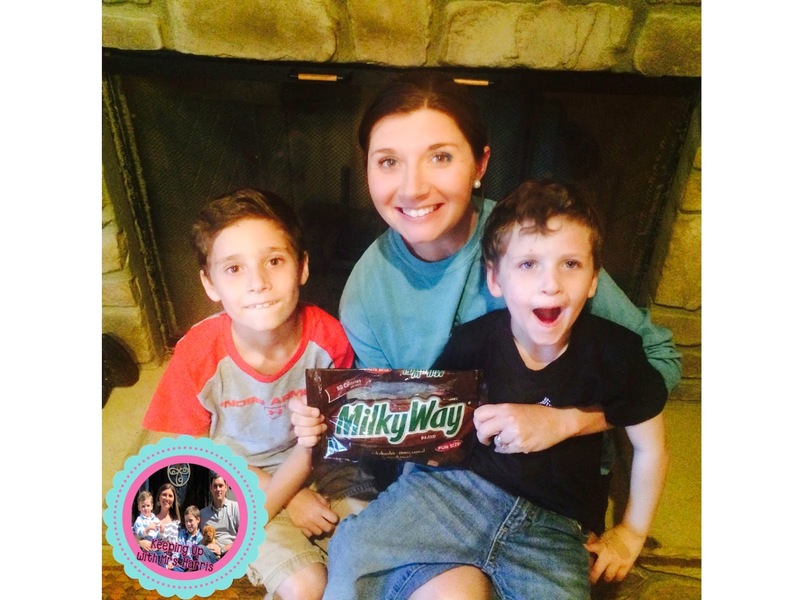 One of the Harris family's favorite fall desserts is an apple salad with Milky Way. You must try this recipe! Super simple and so delightfully yummy! Mix together a half a cup of milk with a tub of cool whip. Then chop up 4 apples and 3 Milky Way bars. Mix in the pudding and then top off with caramel ice cream topping. That's it! And when I say it is yummy, trust me, because I will be sporting a sticky, caramel mustache as soon as apple picking season starts! Anyone who knows me personally will tell you that I am the kind of gal that likes nice things and crafting inside all day. However, as a mom of two boys, I do have to get out and dirty more than I would like to. 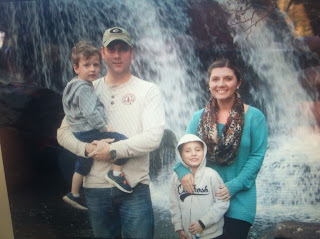 One of our favorite ways to make memories together in the fall is to go hiking and find waterfalls in our little Georgia mountains. I always make sure to take a ton of pictures so we don't forget these times, but also to share in my classrooms. You will be amazed at how many students have never seen a waterfall in real life. 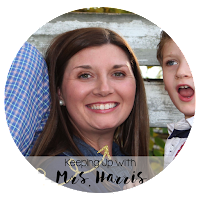 The last few weeks, I have been working on new fall products to use with a few of my favorite fall books. There are a ton of great ones out there. Fall books that I share with my students is another favorite for this time of year. Which leads me to my FALL FREEBIE! 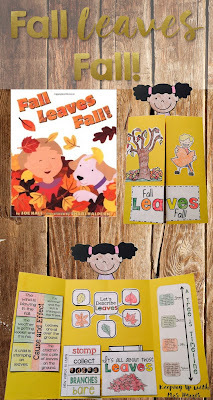 Have you ever read the book Fall, Leaves, Fall with your students? If not, you need to and after you read it, complete this fun activity with them! This lapbook is going to make the book so engaging for your students. To access this freebie, click here! 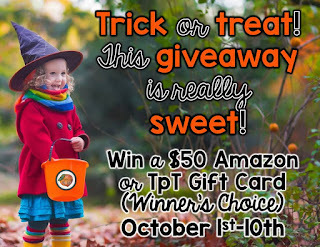 Have you entered our giveaway? 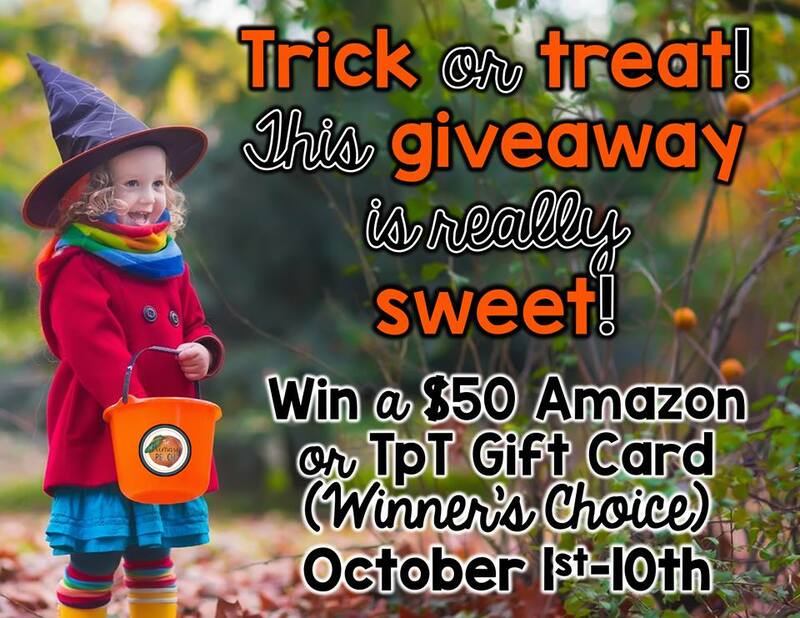 You better enter or else someone else will be enjoying this $50 gift card while you sit with a frown! Enter below!